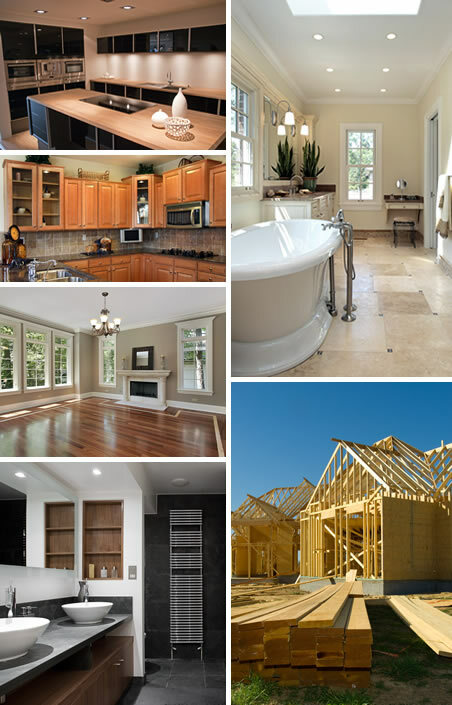 Over 30 years of experience in the remodeling industry. The world contains all kinds of people, and some people place a higher value on honesty and integrity than others. Dealing fairly and honestly with our customers, using high-quality materials throughout every project and delivering full value for the money have always been core tenets of our company. Each individual on the team at CBR Construction has specifically been selected for exhibiting clear, consistent competence on the job and for possessing a strong desire to give all of our customers an excellent experience. After thirty years of continuous operation and innumerable completed projects for satisfied customers, CBR Construction has built a solid reputation for delivering the goods at competitive rates and with a minimum of disruption. CBR Construction has long offered customers a full range of professional home-contracting services, including complete remodeling of kitchens, living rooms, bedrooms, bathrooms, closets and home offices for modern functionality and aesthetics; expansion of existing home floor plans into available exterior spaces; replacement of older garage doors with newer concepts; new installations of patios and decks and upgrades for existing facilities; fast, professional roofing replacements or upgrades and custom-purpose projects. With full accreditation and an A+ rating from the Better Business Bureau, recognition from national industry groups and decades of building a reputation for providing reliable home-contractor services to residents of the greater Columbus metropolitan area in Ohio, the team at CBR Construction is proud of its success at routinely meeting and exceeding the expectations of all of our customers. As a final proof of our rock-solid reputation, we stand behind all of our work with a written guarantee of satisfaction. From start to finish we strive to provide superior service and because of this CBR Construction is known for its quality construction services in Columbus Ohio. We don't just do a great job for our customers we go above and beyond their expectations and look to always provide the right solution for the problem. You will have the transparency you need and we will guarantee our work in writing when you sign a contract to hire us. We look forward to speaking with you about any home improvement questions you have. © Copyright 2015, All rights reserved. CBR Construction, LLC.